R.P. Dalton Asphalt Paving, Inc. has been family-owned and operated since 1948. We specialize in residential and commercial asphalt paving and offer seal coating and crack filling. Our paving technicians are state licensed, fully insured and bonded to utilize and operate top of the line machinery, guaranteeing a perfect pavement job every time. Our business has more than 70 years of experience, passed down from generation to generation. 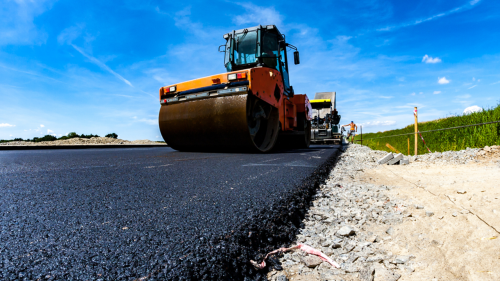 We’re your experts when it comes to all things asphalt. We guarantee affordable pricing. We’ll work with you to give you the best price for your hard earned dollars. Our paving experience ranges from athletic fields and tennis courts to roadways and private drives. Let us know what you need and we’ll handle the rest. Have a crack in your pavement? We’ve got you covered with hot crack filling and sealcoating capabilities. R.P. Dalton Asphalt Paving, Inc. is an industry leading paving company in Waterbury, CT. We take pride in 70 years of business, passed down from generation to generation. Since 1948, we’ve been paving your way with high quality workmanship at affordable prices. There’s no job too big or too small for us to handle and no matter the size of the job in question, you can rest assured quality workmanship is at the root of it. Arby’s Restaurant, City of Waterbury School Department, and Winsted Health Center, Inc. are just a few of the many satisfied clients we’ve done business with and you can see the results of our work still today. We take pride in our staff and will make sure you meet with a contractor who has the highest ability and experience, who will give you the best results for your money. We take the time to discuss the scope of work, determine the right approach and set realistic timelines and budgets, to keep everything on-time and under-budget. Contact us to get a free quote. We stand behind our affordable prices and guarantee you will be satisfied with the finished result. Give us a call at 203-753-3621. R. P. Dalton Asphalt Paving, Inc.